Well, the cold weather came and iced things up again. Most lakes froze back over completely, but warmer weather is expected to break things back open in the coming days. Many places were still slow, but Lake Taneycomo was red hot! We had a big group down there for the annual Conservation Federation of Missouri media event and the fishing did not disappoint. 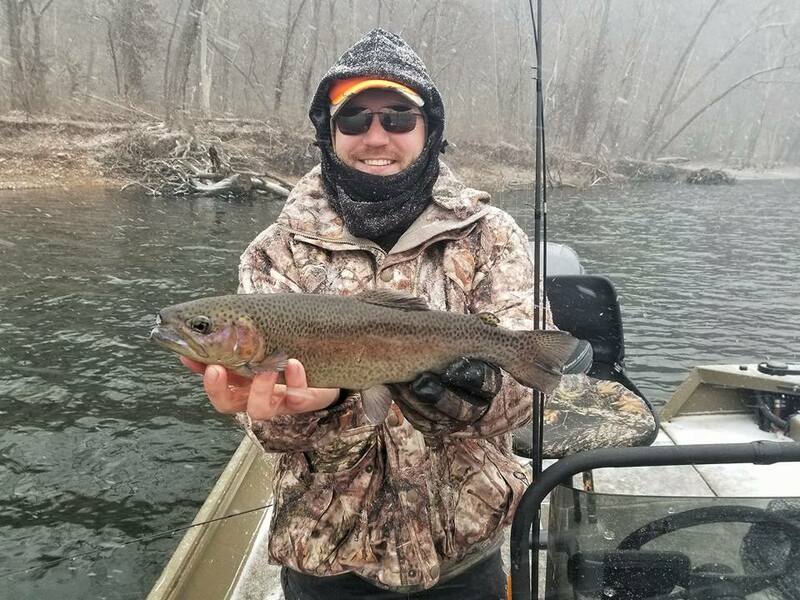 Although the temperatures were frigid, the group caught too many fish to count and even landed some giants too! My resources for the fishing report include some great people and businesses. Be sure to check some of their websites out!